Fox: What next for the markets? After six down weeks for the market, are we turning the corner or facing greater declines ahead? 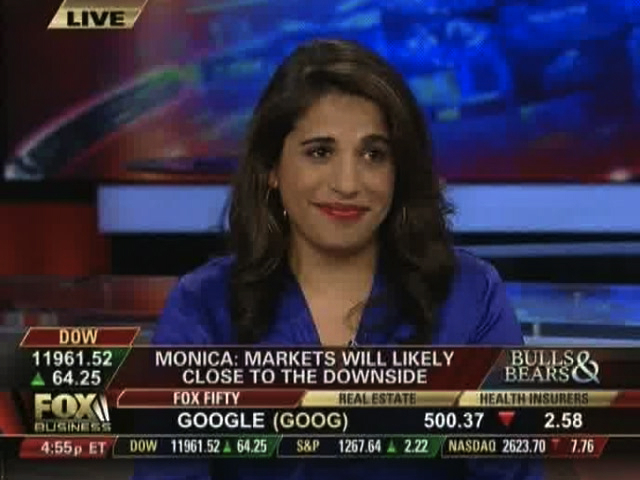 Monica Mehta returns to the Bulls & Bears expert panel to discuss the outlook for stocks and investments that make sense in volatile times. This entry was posted in Fox Business, Video and tagged Bulls & Bears, David Asman, Elizabeth McDonald, Fox, Liz Claman, Monica Mehta, Scott Martin, seventh capital. Bookmark the permalink.